The Chief operating officer of Mozilla, Denelle Dixon urged the u.s. Congress to repel the decision in the 2018 to repel the law that protects net neutrality. “We must protect the neutrality of the web,” said Dixon in a testimony before the Subcommittee on CEnergía And commerce of the House of Representatives Thursday, February 7. He added that the internet “should be treated as a public resource that is open and accessible to all”. 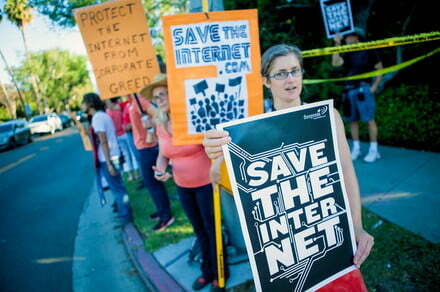 California wants to restore the law of net neutrality, but Internet providers are not in agreement with it. For this reason, several companies have filed a lawsuit in October 2018 in an attempt to curb the intentions of California. Between the claimant companies include Comcast, AT&T and Verizon, to name a few. This law forced the companies suppliers of the Internet to ensure its neutrality and was driven by the Administration of former u.s. president and predecessor of Donald Trump, the democrat Barack Obama. But, with three votes in favor and two against, the FCC put an end to the policy promoted by Obama. “We are opposed to the action of California to regulate access to the Internet because it threatens to negatively affect services of millions of consumers and could damage investment and economic growth”, have indicated to the suppliers in a joint statement. The failure of the Federal Communications Commission (FCC) against the Neutrality of the Network, went into effect officially el11 June in the united States, putting an end to three years of measures for the protection of the Internet that were consolidated during the last presidential management. However, state legislators and local governments are working on measures side to achieve that, in the future, the majority of u.s. citizens are able to enjoy again the benefits provided by this law. The Neutrality of the Network, or Web Neutrality, it is both a principle and a law that is designed to make the Internet a level playing field for all, both as consumers and as businesses. Its objective is to prevent the Internet services to charge content providers different rates depending on the content, web page, platform or application, thereby ensuring that the people can have access to everything they want at the maximum speed of your connection, regardless of what your provider prefers. Originally protected under the law known as the Open Internet Order of the administration of president Barack Obama, was voted to be repealed at the end of 2017 after long months of controversy. This week, the decision officially came into force. However, the international opinion, as well as many organizations and local legislators, think the opposite. There were so-called to and actions to block the repeal since it was enacted by advocacy groups and politicians. Adding to the situation, the mayors of several cities in the united States have refused to do business with companies that do not follow the observance of the principle of Network Neutrality. But if it may well be that those complaints fell on the deaf ears of the FCC, several local legislators have been making some progress. The New York Times points out that 29 states have introduced bills to ensure that the Neutrality of the Network is maintained within its borders. Although some were not accepted, yes it has been enacted in Oregon, like Vermont and Washington. Most are still pending, so if you live in any of the states listed on the web site of the National Conference of State Legislator, your state may end up retaining the Neutrality of the Network at the local level. Even with the measure officially repealed at the federal level, and no real signs of that changing in the short term, it might be that the campaigns of the base and the officials of local governments to keep the Internet open and free until the time we have been able to enjoy.